The new STS 25 Mc¹¹ extruder with a 25 mm screw diameter is designed especially for research and development tasks as well as for production of small batch sizes of 2 kg and more, achieving throughputs of up to 90 kg/h. The extruder features numerous advantages for easy handling and maximum efficiency. The next generation of highly accurate, gravimetric feeders, designed to meet the growing demands of continuous processing, comes with a modular concept and requires significantly less floor space. The new easy design of the ZS-B and ZS-EG permits much faster dismantling from the ZSK extruder process section and the twin screws can be changed very simple. Time for cleaning e.g. for recipe changes decreases obviously. We tailor all the process steps from raw materials feeding, conveying, melting, dispersing, homogenizing, devolatilizing, pressure build-up to filtering and pelletizing exactly to the requirements of your masterbatch recipes. Our Test Centers: Helping you optimize your processes. Our test centers for feeding and extrusion applications, components and conveying systems are the ideal platform for advanced testing of any challenge in a production plant, such as product behavior, new formulations or throughput rates. This newly developed conveying process minimizes dust formation and increases energy efficiency of pneumatic conveying of pellets. Coperion K-Tron offers a wide range of feeding solutions for various processes. 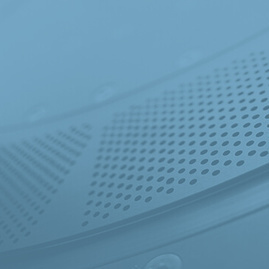 Whether plastics, chemicals, food, pharma or nonwovens - we offer the optimal solution for any application. We offer highly accurate products for handling a wide range of ingredients. Everywhere you look you will find plastics. We use plastic products to help make our lives easier, safer and more enjoyable. You will find plastics in the clothes we wear, the houses we live in, and the cars we travel in. Even the toothbrush we use every day is made of plastics. Coperion plays a major role in the production of plastics. Find out more about our offerings for the plastics industry. In complex processes such as the compounding of high viscous masses, the quality of the end product is the key factor. From metering, through raw materials feeding, conveying, melting, dispersing, homogenizing, devolatilizing, pressure build-up, filtering and pelletizing, every process step has to be precisely adapted to suit the application. Coperion offers the comprehensive know-how and the matching equipment. A supplier of food and pet food solutions must deliver more than reliable machines and systems. Experience and know-how are also absolutely essential. Our innovative food and pet food process technologies, as well as our extensive knowledge in process effciency and food safety make us the ideal partner for process system supply. As the pharmaceutical industry undergoes a change in manufacturing from batch to continuous operations, Coperion and Coperion K-Tron continues to be the supplier of choice for extrusion, feeding and material handling equipment. Regardless of the exact continuous process utilized, the method of feed and refill to the process is critical in maintaining process and product quality/efficiency. Coperion components with innovative wear protection concepts, tailored to the needs of the minerals industry. We supply a wide range of rotary valves of different designs and various materials with individual wear protection packages. Our portfolio encompasses pneumatic conveying systems, rotary and diverter valves, filters and special components which are used worldwide for numerous applications in the cement and ore processing industries as well as in power plants. Coperion K-Tron has been active in the nonwovens market for years, as one of the key suppliers for accurately feeding Super Absorbent Polymer (SAP), the essential component in baby diapers, personal hygiene products and incontinence products. The demand for disposable diapers for infants, toddlers and even adults is increasing. So is the demand for the large variety of personal hygiene products manufactured by the nonwovens industry. In 2013 K-Tron joined forces with Coperion combining knowledge, know-how and global resources. With more than 110 years as an industrial equipment manufacturer, Coperion K-Tron has grown to a leading global supplier of feeders, pneumatic conveying components and complete material handling systems. Learn more about Coperion K-Tron.